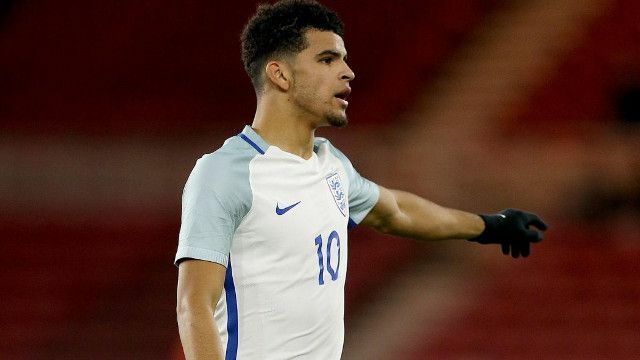 Chelsea will use Dominic Solanke’s recent England call-up to their advantage, noting it as evidence that Liverpool should pay a larger tribunal fee for the young striker’s services. Although we acquired the 20-year-old on a Bosman free this summer, when players under 23 are signed via this method their parent club still requires a fee – decided upon by a tribunal – which has yet to take place. The Evening Standard say that Chelsea rejected Liverpool’s £3m offer and instead want more than three times that amount. If Solanke gets a first senior England cap, the Blues will likely be in a good position to demand £10m-odd, too. Still, that money for a player of Solanke’s undeniable talent is still a bargain, if you ask us. The forward won the Under-20 World Cup with England earlier this year and was by far and away our best player to boot. He possesses incredible physical attributes and is a devastating finisher, as well. It’s for this reason that Divock Origi was sent out on loan and Danny Ings can’t get in the squad. Whatever we end up paying Chelsea, we’ve won long-term.